Ampacity Electric is an owner-operated electrical contracting business in Kearny, New Jersey that also serves Passaic, Essex, Bergen and their surrounding counties. Ampacity Electric is an industry leader when it comes to expertise, efficiency, workmanship and service. We specialize in panel upgrades, repairs, remodeling, electric service and generator installations, electric vehicle charger (EVSE) installation, portable generator connections, and troubleshooting. 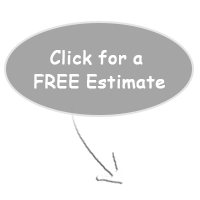 We’ll handle all your electrical needs in Kearny in a safe, professional manner. 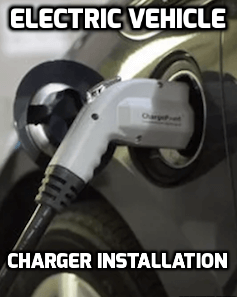 If you are looking for a car charger installation in Kearny, call us now. Don’t wait for another blackout before taking action to prevent such problems. An electrician from Ampacity Electric will efficiently install your portable generator connection so you never have to worry about missing your favorite TV shows again. Do you need an electrician in Kearny? We work with every client to tailor unique, high quality solutions to all power needs while considering any budgetary and time constraints. We understand that nothing is as important as the safety of your loved ones. 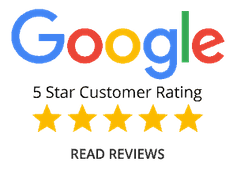 When you trust us to solve your electrical problems, you can be assured that we’ll show the same respect for your home and family that we would show our own family and home. We provide first class workmanship backed by a lifetime warranty on all labor. 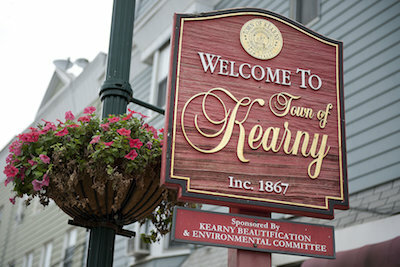 We’re more than happy to be your local Kearny electrician. If you try to deal with wiring problems yourself, you’re completely crazy. You need experience, education and a license to do that. It’s so dangerous that it’s illegal in almost all of America. If you need to fix wiring issues or have something new installed, call the expert technicians at Ampacity Electric because we guarantee that the work we do satisfies current work standards and that will give you supreme peace of mind. It’s impossible to over-stress how important it is to choose the correct wires and devices for each job. Bad wiring can damage the appliances it operates and your total electrical system. In today's modern society, with all its gadgets (big and small), undersized wiring can lead cause major voltage fluctuations that will prevent electrical equipment from working properly. You can trust Ampacity Electric to handle your electrical needs, regardless of their simplicity or complexity. If you own a home, you naturally want to be prepared for all emergencies. You didn't buy a house just to waste money. You made the purchase to keep you and your family safe, stable and secure. Mother Nature can throw major tantrums with little warning and you can’t guard against and disasters that can also strike at any time. However, you can have some control by having us install a portable generator connection that we’ll tie into your home’s electrical system. You would have noticed our technicians in their vans as they your visit friends and neighbors in Kearny to deal with their electricity needs. So ring Ampacity Electric on 201-406-2855 and arrange to have a portable generator connection installed in your home. If you have fuses blowing frequently, flickering lights and/or breakers repeatedly tripping, it’s a sure sign that something’s wrong and you should talk to us about upgrading your panel. If you need to turn off appliances so you can use others, that’s another sign you need an upgrade. Perhaps you think these problems are simply inconvenient. How wrong can you be?! It’s a matter of safety for your entire family. A panel that’s outdated can increase the risk of fire and electric shocks. As licensed, trained electricians, we take our business seriously. Please call us for electrical panel upgrades, general electrical work or for troubleshooting power problems at 201-406-2855. I’m a contractor myself but not an electrician. 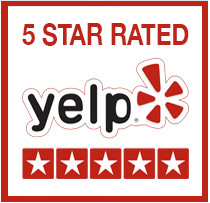 I called upon Andrew at Ampacity Electric for the first time based on all the positive reviews. Wow, Andrew is amazing. He was extremely professional, showed up exactly on time, explained everything clearly, and solved all my issues quickly. I can’t say enough good things about him and Ampacity Electric. Andrew is a pleasant, courteous, and highly skilled electrician! Speaking as a professional contractor myself, I highly recommend him if you need any electrical work done. Ampacity replaced a shorted garage GFCI outlet and rewired the incoming wire to the outlet. They responded to my call and were forthright and honest in giving me an estimate with no surprises. Arrived 5 minutes early and did a thorough and professional installation. Excellent company and highly recommend.